Water conservation systems for residential and commercial application. Solarponics offers water saving products that perform well, live up to our water conservation expectations, are affordable, and easy to install. Of all the water in the world, less than 1% is available for human use. Protecting and managing our most precious resource is everyone's responsibility. Noritz has been an innovator in the water heating industry for over 60 years. Save you up to 40% of your current water heating bill. Reduces carbon emissions, equivalent to planting 33 Cypress tree. A Noritz tankless water heater lasts twice as long as traditional tank water heaters, dramatically reducing landfill waste. There is an average of 7.3 million traditional water heaters disposed into landfills each year in the US. 12-year replacement warranty on heat exchanger. PROBLEM: Waiting for hot water is miserable. Plus, this wastes a lot of water. Over a year, the wasted static water in the average home equals 11,461 gallons. That’s 9% of the average home’s total water use of 131,000 gal/year. SOLUTION: A Water Recirculation pump installed by Solarponics. How a water re-circulation pump works: Hot water is circulated through the "cooled" hot water lines until the water is hot at the faucet. The cool water is circulated back to the water heater via the cold-water line, and no water is wasted during the wait. SAVINGS: Saving 11,461 gallons of water per year adds up to 114,000 gallons over 10 years (the equivalent of 9 in-ground swimming pools) and $1,600 in water cost and energy savings over 10-years. A water re-circulating pump has about an 8-year payback. The added value is in the comfort and convenience of hot water on demand. WHAT DOES IT COST? A water re-circulation pump generally runs around $1,400 for proper installation and quality equipment. Water recirculation pumps can be installed in one day. Call today for your free water recirculation home estimate. (805) 466-5595. HAVE A SEPTIC SYSTEM? Imagine removing 11,000 gallons of water from your septic system each year. Energy generation and transmission requires the utilization of water resources, particularly for hydroelectric, nuclear, and thermal energy sources. Conversely, about 8% of the global energy generation is used for pumping, treating, and transporting water to various consumers. Coal wastes water and pollutes the environment. We use water to pump crude oil out of the ground, remove pollutants from power plant exhaust, flush residue after fossil fuels are burned, to mine and process coal, and much more. Our energy resources rely on water, much more than we probably realize. Exactly how much water? The analysis gets complicated at this point. No one has yet come up with solid numbers for the storage and post-generation stages of energy water. 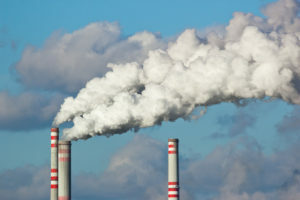 Coal: A typical 500-MW coal-fired power plant will create close to 200,000 tons of sludge waste per year, according to the Union of Concerned Scientists, as well as 125,000 tons of coal ash. This waste leaps into the headlines when it spills into waterways, destroying rivers and polluting drinking water, as it has at large scale in Tennessee and North Carolina in recent years. Nuclear: Nuclear waste disposal uses 3 gallons of water per MWh of energy generated. Rooftop Solar: Solar panel manufacturing uses about 3 oz. of water per MWh to produce. Wind uses a bit less water than solar, but both are exponentially more water-efficient than any other energy source. Solar uses 96% LESS water than nuclear power. This is a very relevant statistic for us here on California's central coast. Being that we're in a severe drought, and we get most of our energy from Diablo Canyon Nuclear Power plant, the adoption of solar energy will save us money and water. Lots of water. We also need to consider how energy industries have water expenditures even after power is generated, all the way through to decommissioning of the power sources. So now you know. You need water to make power. Using solar won’t just save you lots of money. It will also help all of us conserve precious fresh water.